2 Bedroom Flat For Sale in Sheffield for Guide Price £50,000. A rare opportunity has arisen to purchase 50% shared ownership of this spacious two-bedroom second-floor home within a well-regarded extra-care development. Benefitting from a pleasant outlook over the communal gardens and far-reaching views across Wincobank Woods. The Roman Ridge extra-care community development offers regular activities alongside onsite hairdresser, restaurant, shop and communal gardens. The property has under-floor heating, uPVC double-glazing, care alarm system and fantastic fitted kitchen. The property is truly worthy of an internal inspection and a visit to site is essential to appreciate everything offered in this community living. This is not just a property that you are buying, it's an independent lifestyle within an active community that can be combined with extra care if necessary. The property is offered for sale with no chain. A communal security entrance door to the building gives access to a welcoming reception lobby with residents' lounge, hairdresser and restaurant. Several lifts give access to the upper floors. Front entrance door to the apartment leads to a spacious entrance hallway. Living room. Communal gardens, residents' and visitor parking. Wincobank is a popular residential area situated about 3 miles from Sheffield city centre and within a mile of both Meadowhall and Junction 34 of the M1 motorway. There are local churches, pubs and shops. 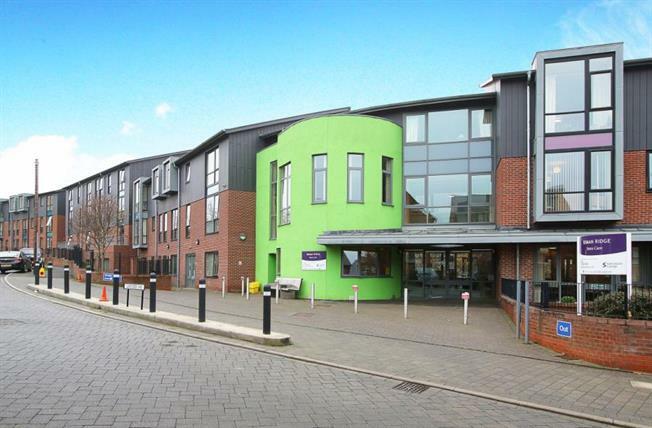 Firth Park lies within close proximity, offering a further range of services including the Northern General Hospital.